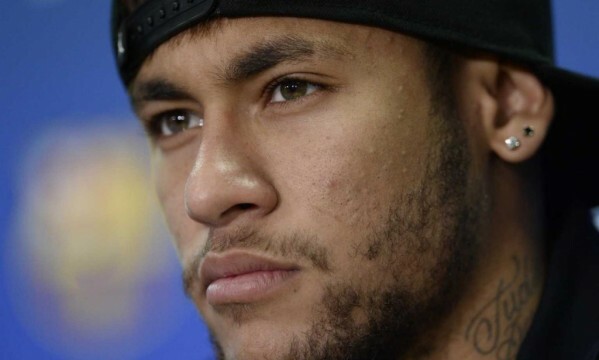 During a promotional event held this Monday in Barcelona, Neymar spoke a few words about a few hot topics in football. After quickly reviewing the incident that involved Cristiano Ronaldo in Real Madrid‘s last match against Cordoba and where the Portuguese star ended up being sent off after kicking an opponent, the 22-year old also spoke about his relationship with Lionel Messi and the upcoming tie against Atletico Madrid for the Copa del Rey. Neymar: “I don’t work in the Spanish football disciplinary’s Committee in order to decide how many games players should be banned for in circumstances like the ones where Ronaldo was involved. I only think about my own team and right now, my focus is set on the game we have in hands against Atletico Madrid. I don’t like to talk about what happens with other teams”, started by stating the Brazilian. 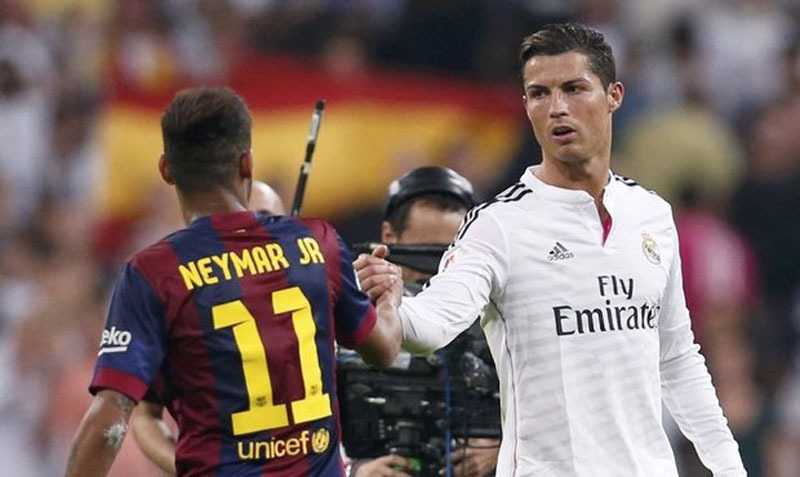 Neymar: “Those who have to go through multiple provocations and intimidations during a football game, understand what happened with Cristiano Ronaldo last Saturday. Sometimes, we just can’t control ourselves anymore. What happened with Ronaldo is something that can happen with any of us, but it’s also true that it must be punished accordingly. We all need to be mentally prepared to handle these kind of situations on the pitch”, remarked the former Santos forward, when commenting the straight red card that was shown to CR7 in last weekend’s match between Cordoba and Real Madrid. One thing no one seems to deny is that, over the past few months, Messi has somehow managed to improve his form considerably. Neymar seems to agree with that observation and is extremely happy to have the Argentinian by his side on a daily basis. Neymar: “I’m just pleased to be able to play with him, since everything becomes a lot easier when we have the best players in our side. When you have a good relationship with your teammates off the pitch, it definitely also helps your game on the pitch. That’s one of the reasons why things are working so well for me and Messi“. Next Wednesday, Barcelona visits the Vicente Calderón to take on Atletico Madrid for the 2nd leg of the Copa del Rey last-16 stage. After having won 1-0 at the Camp Nou thanks to a late goal from Lionel Messi, the Blaugrana will have to be at their best to preserve that short lead against the reigning Spanish champions. Neymar: “This Wednesday’s game against Atletico Madrid will be one of the most important matches of the season. We must be extremely focused during the whole game in order to avoid being surprised. Atletico has a tremendous team and we respect them a lot. It’s going to be a war on the pitch”, previewed Neymar Jr.